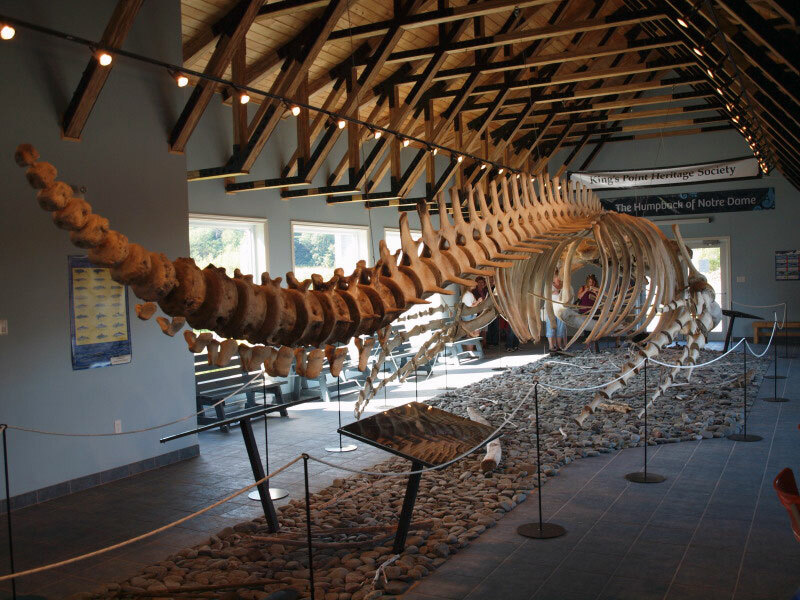 During your stay at By The Sea Inn & Café, there are so many exciting things to do. 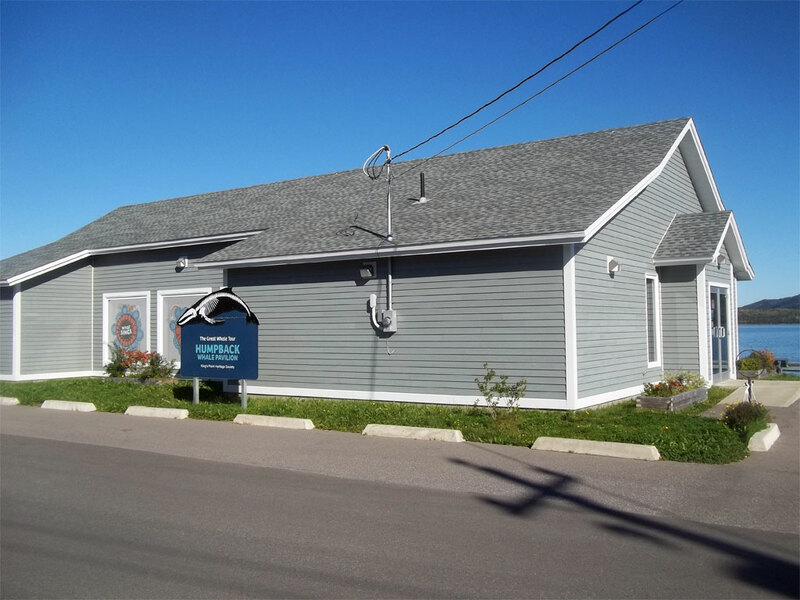 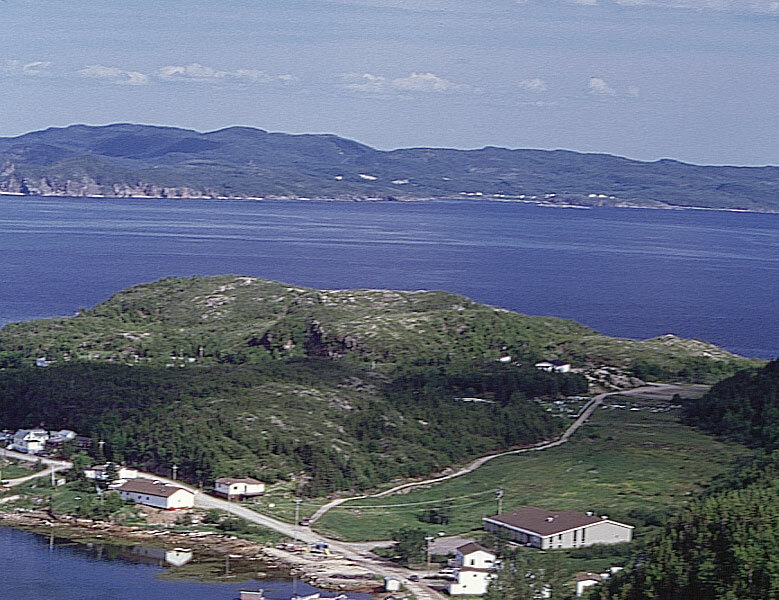 Whether you are interested in outdoor adventures, sightseeing, whale watching or just visiting surrounding outport communities, King's Point is the ultimate destination. 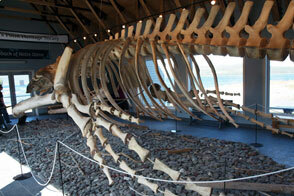 The Humpback Whale Pavilion is just a 10 minute stroll from By The Sea Inn & Café. 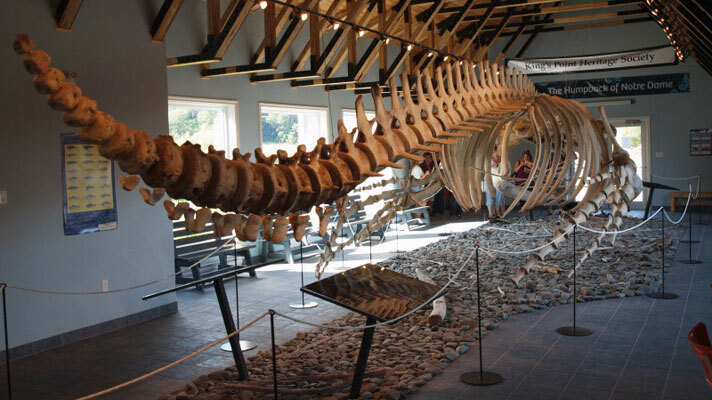 This attraction officially opened it's doors on July 25, 2010. 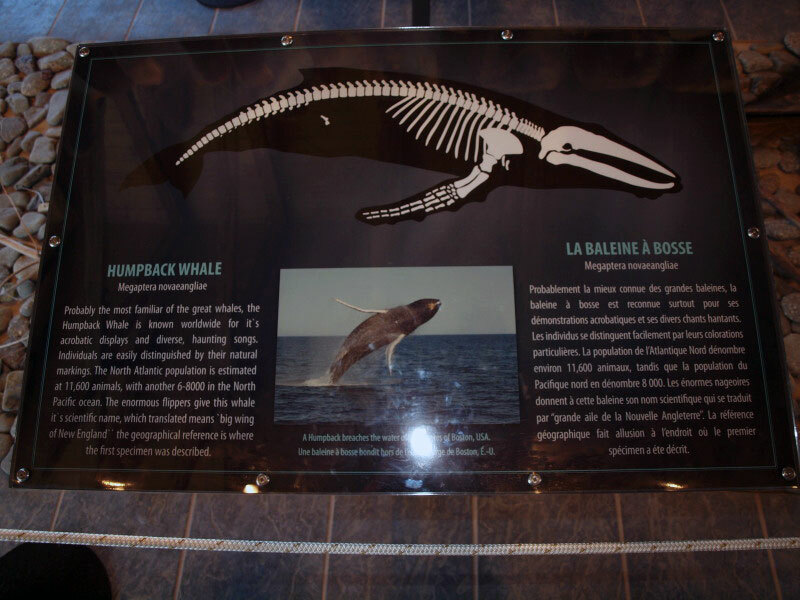 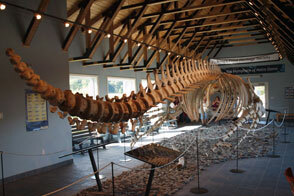 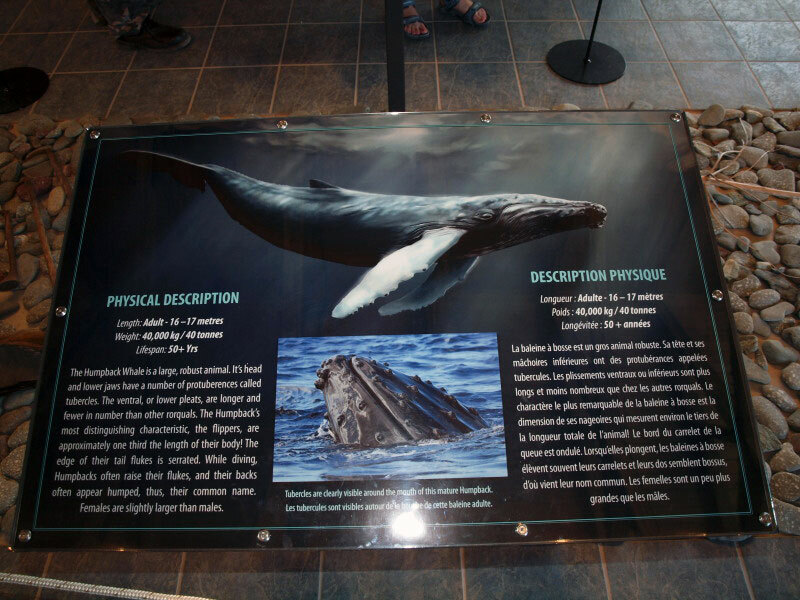 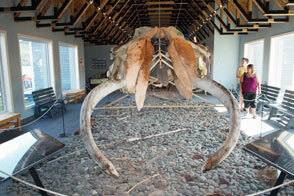 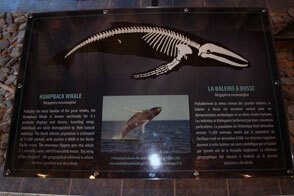 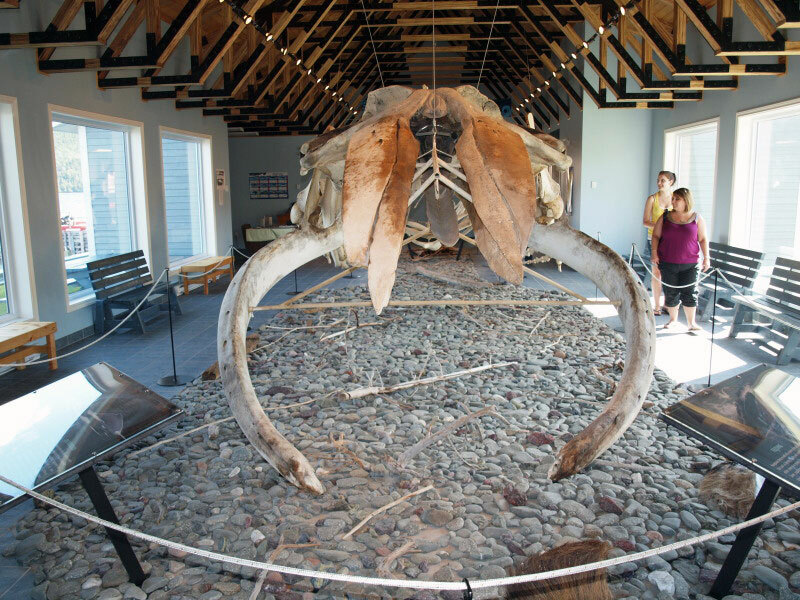 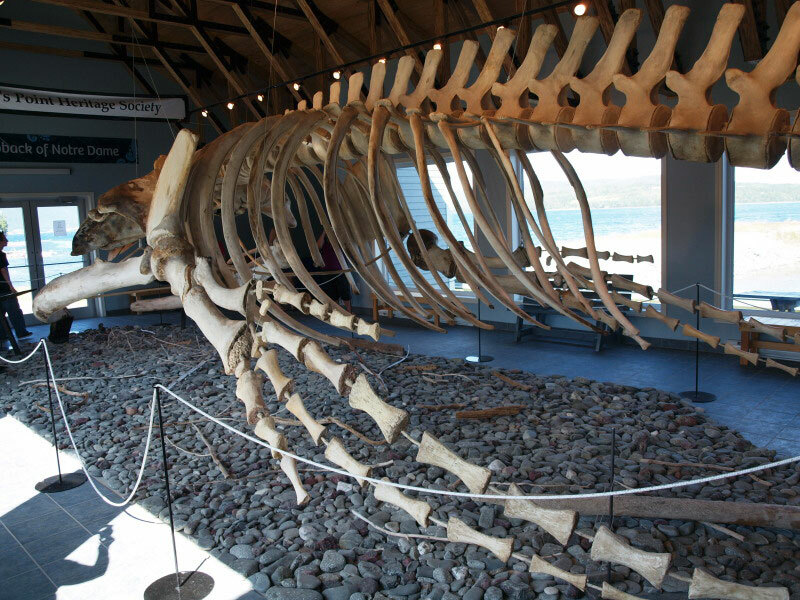 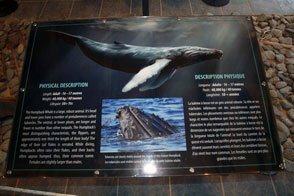 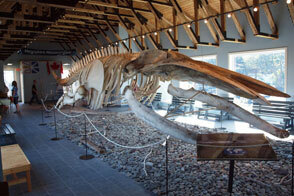 A 52 foot humpback whale skeleton is on display with interpretation video and signage. 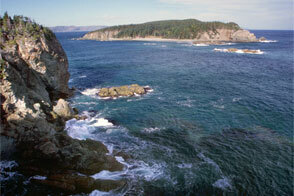 The world's largest concentration of summer humpback whales attract a lot of attention in this region. 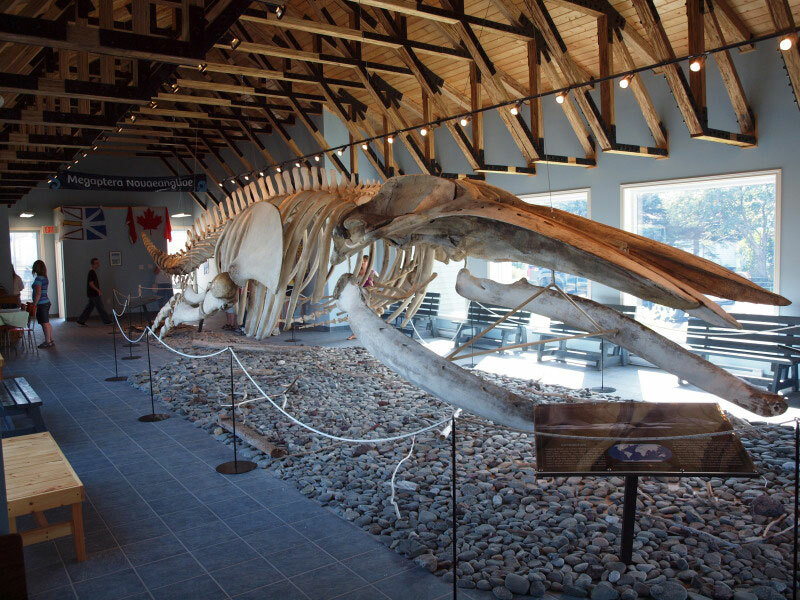 At last, one of our most famous icons has its very own pavilion here in King's Point, showcasing the world's largest humpback whale reconstruction. 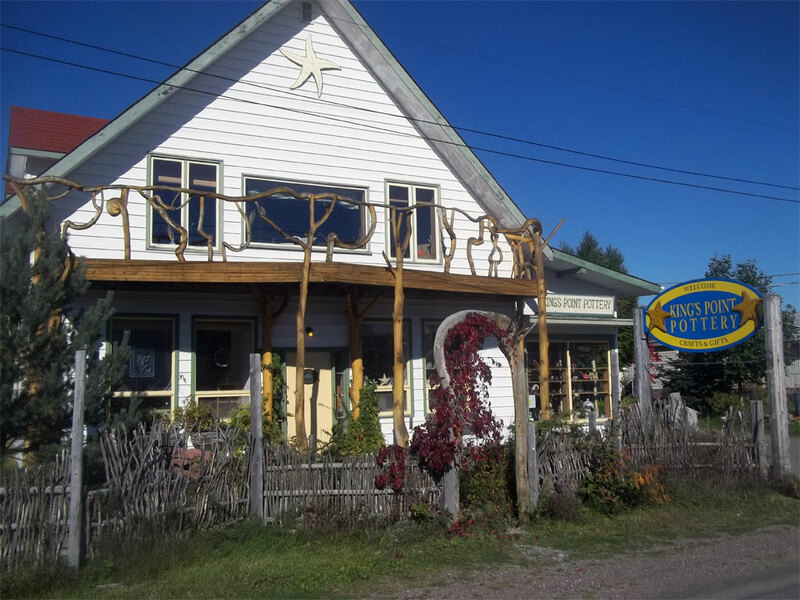 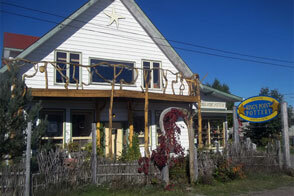 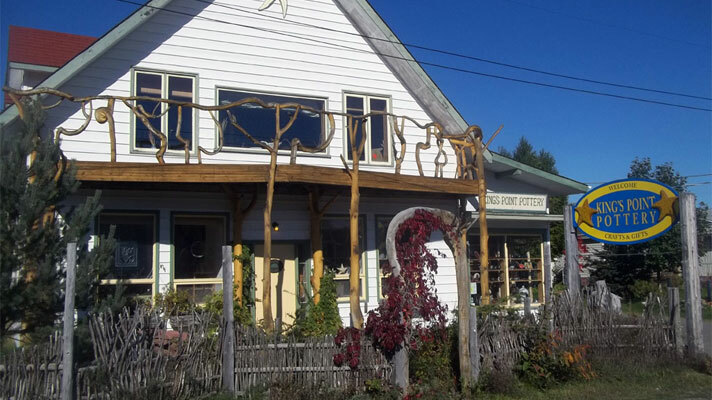 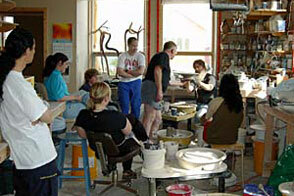 King's Point Pottery is a gallery and retail shop. 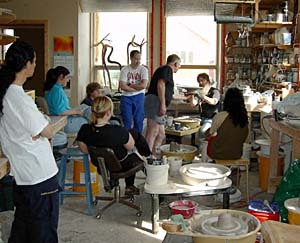 Award winning craft makers, Linda Yates and David Hayashida, (partners in work and life) are a creative team collaborating on every aspect of making pottery in a rural setting. "Pottery is our way of life and our pots get their life from the extraordinary world of Newfoundland and Labrador." 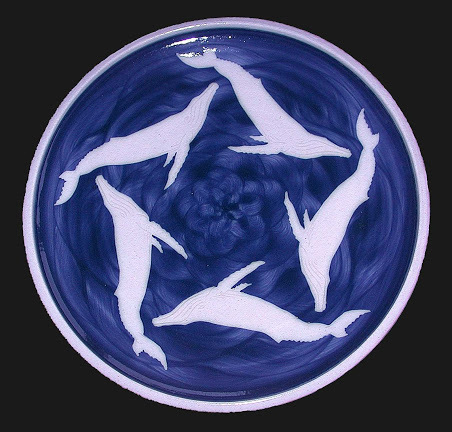 Since 1992, we have been creating an award winning line of blue and white functional pottery with our signature "Whales and Waves" designs. 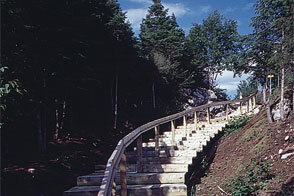 The Alexander Murray Hiking Trail entrance is located when you first enter King's Point. 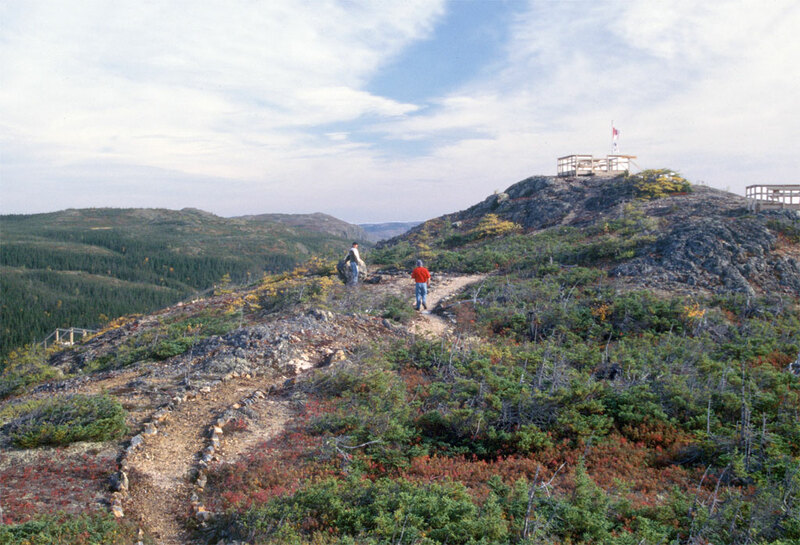 Named after a famed eighteenth-century explorer, this world renowned, 8 km trail beckons the present-day adventurer. 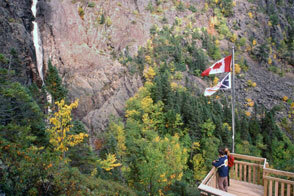 Before proceeding to the Haypook Summit, which will give you a spectacular view of all of Green Bay (elev. 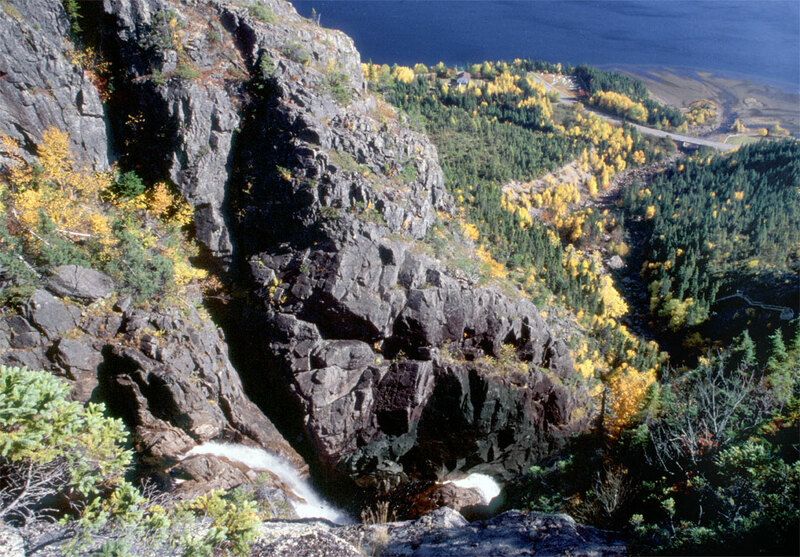 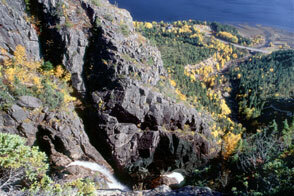 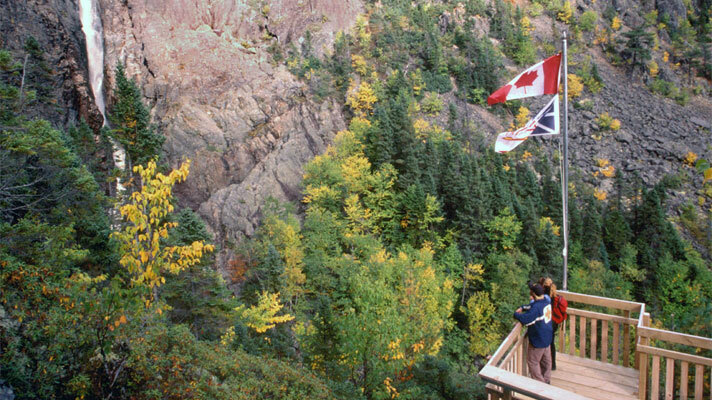 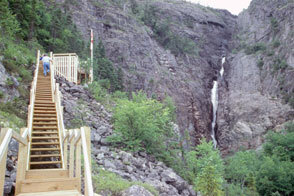 1,000 ft.), take a side trail to the majestic Corner Brook Falls which will leave you breathless. Visitors are thrilled with the variety of landscapes along this trail, from virgin forests to Alpine Barrens. 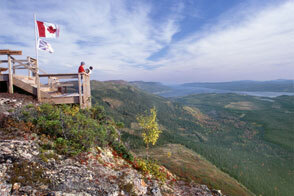 See a dramatic mountain landscape of glacier-carved gorges, lush valleys, streams, waterfalls and marshes. 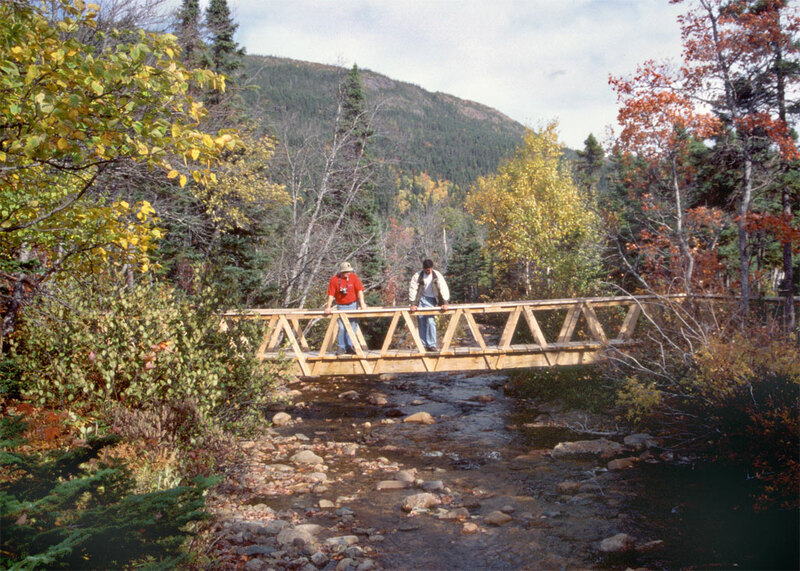 Visitors can stop and relax at rest areas and scenic vistas along the trail, boardwalk along wet areas and steps in steep areas throughout the entire trail. 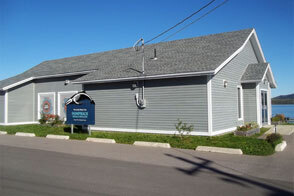 A Visitor Information Centre and Craft Shop is located at the entrance to the trail. 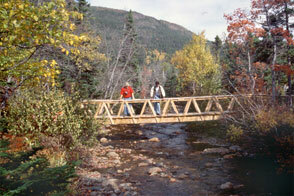 The Rattling Brook Falls Hiking Trail is just 3 km from By The Sea Inn & Café. 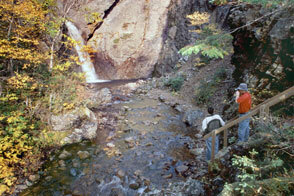 This trail has an 800-ft. waterfall overlooking the entrance to the picturesque community of Rattling Brook. 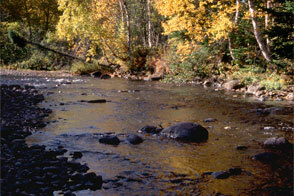 Watch in awe as Rattling Brook tumbles over mountainous granite into a pool of springwater. 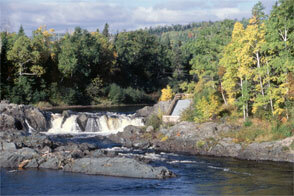 There is a park and picnic area at the falls. 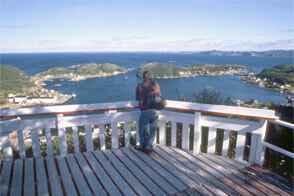 Atop the lookout, visitors will get a magnificent view of the community and scenic South West Arm. 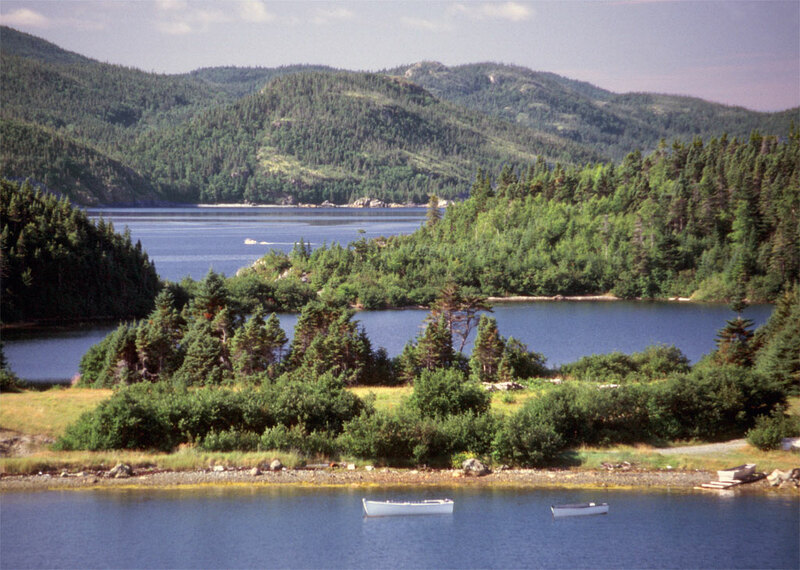 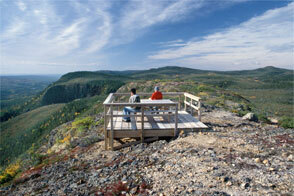 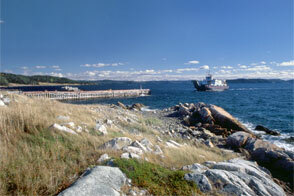 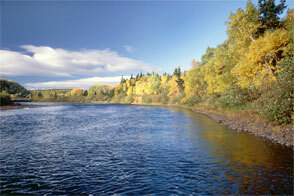 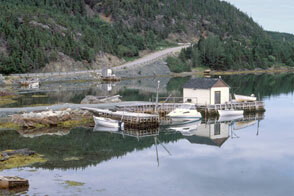 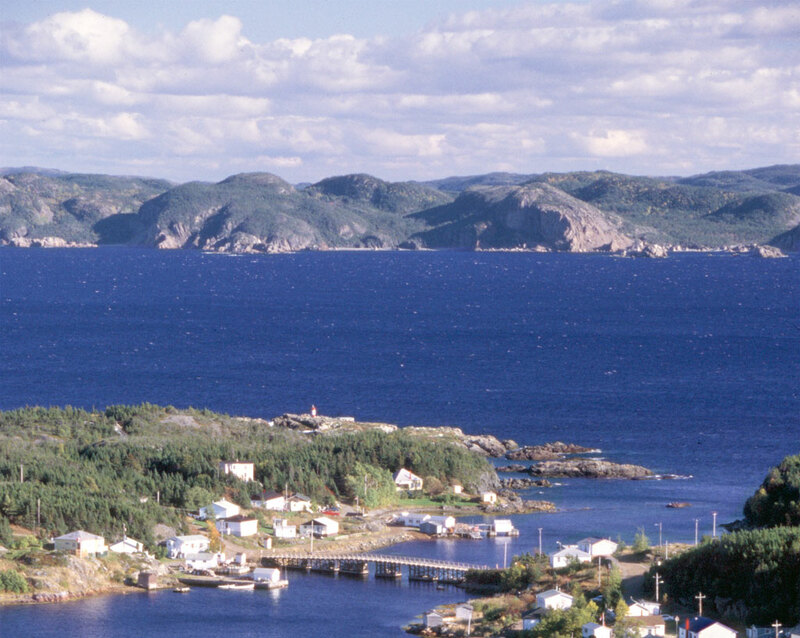 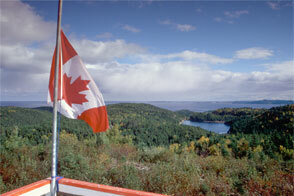 The community of Rattling Brook boasts its beautiful mountainous and coastal scenery. 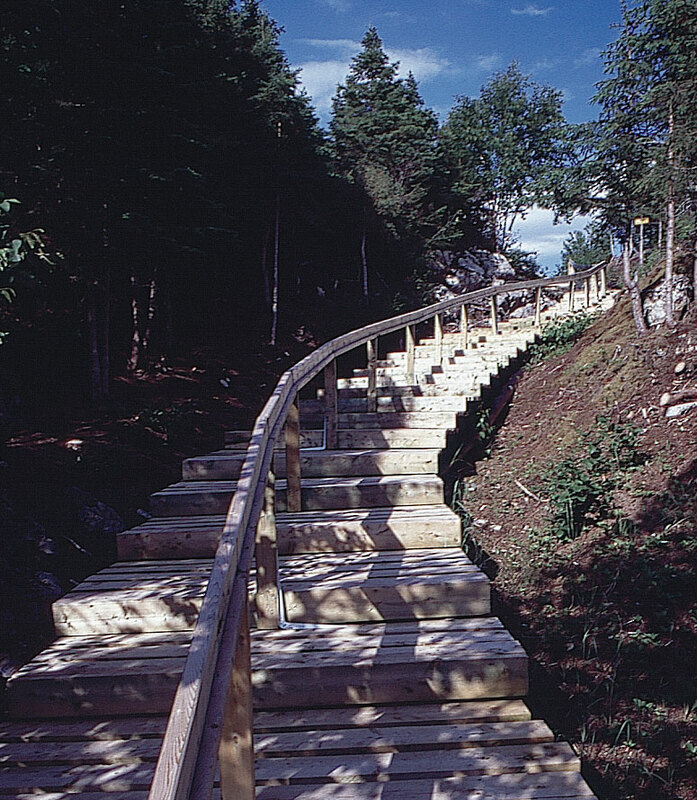 This short trail is designed with steps and boardwalk from start to finish. 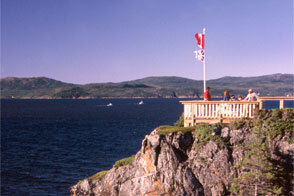 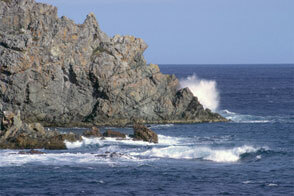 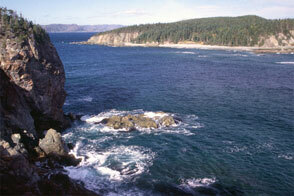 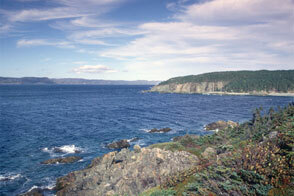 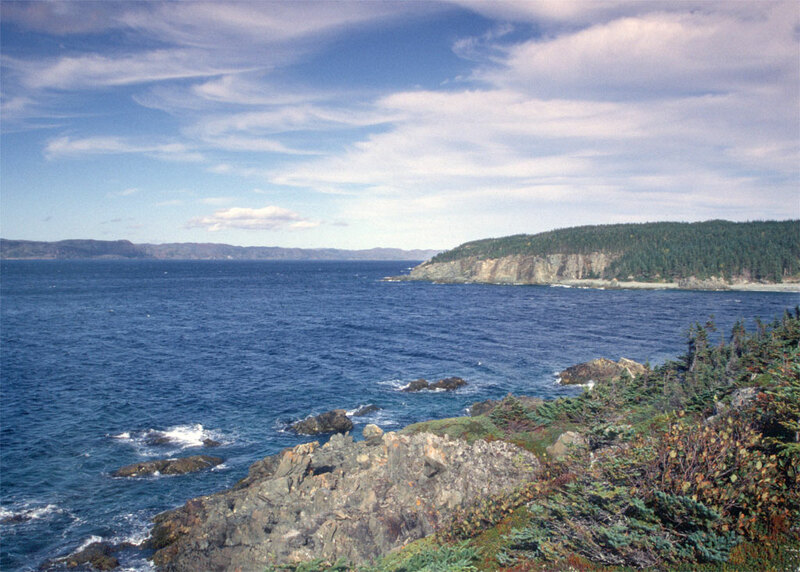 The Oceanview Walking Trail (located in Jackson's Cove) has a length of 5 km. 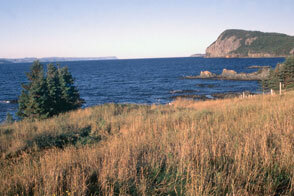 This trail is just 24 km from By The Sea Inn & Café on Route 391. 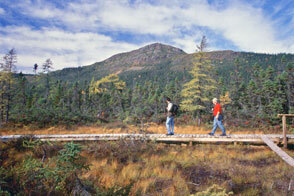 Follow the same paths that the Maritime Archaic and Beothuk Indians used hundreds of years ago. Stand on the rugged cliffs of Langdon's Cove to see whales, seals, icebergs and many species of seabirds, including eagles and osprey. 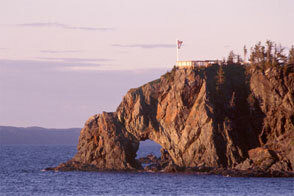 See the many spectacular geological coastal formations such as The Arch. 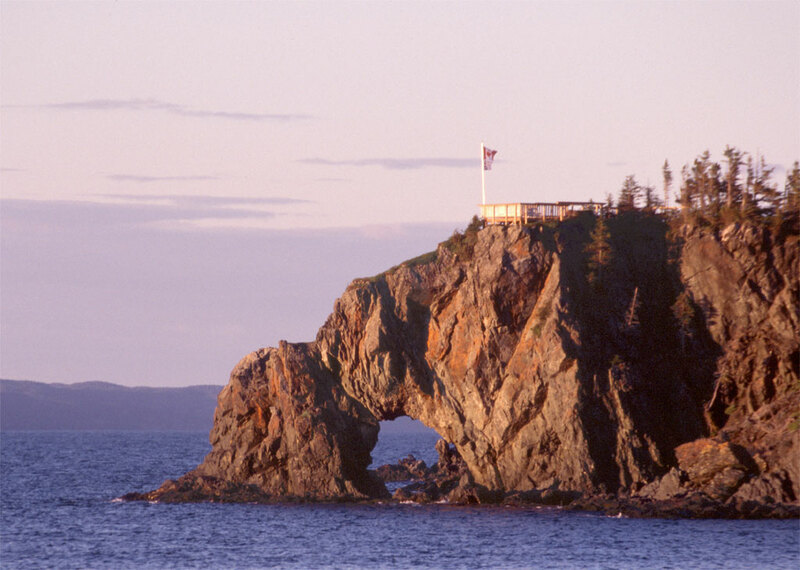 View the many inlets, coves and bays atop the Arch Lookout and witness the powerful waves and tides of the North Atlantic as they beat on the cliffs below. 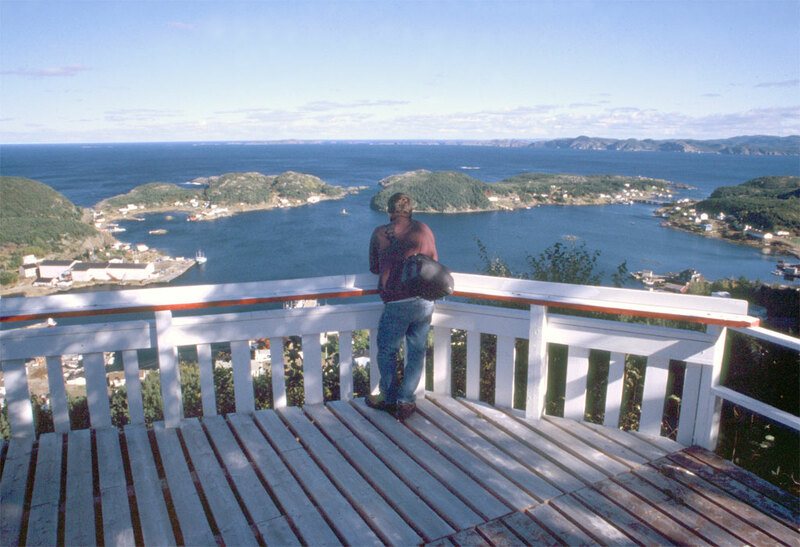 From the various lookouts, you can look down below at local fisherman in their boats as they haul their lobster pots or nets. 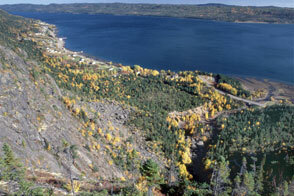 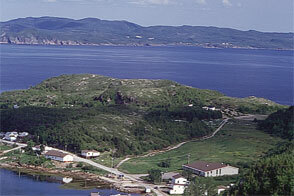 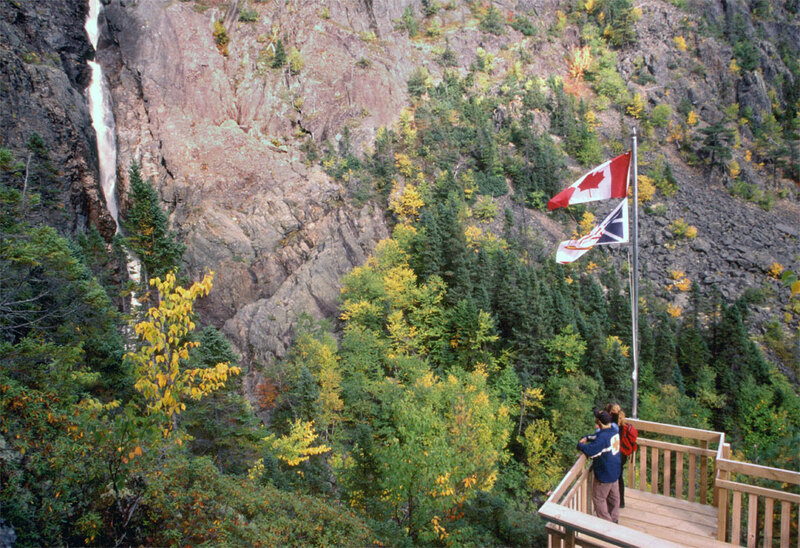 The King's Cove Hiking Trail (located in Harry's Harbour) has a length of 6 km. This trail is just 26 km from By The Sea Inn & Café on Route 391. 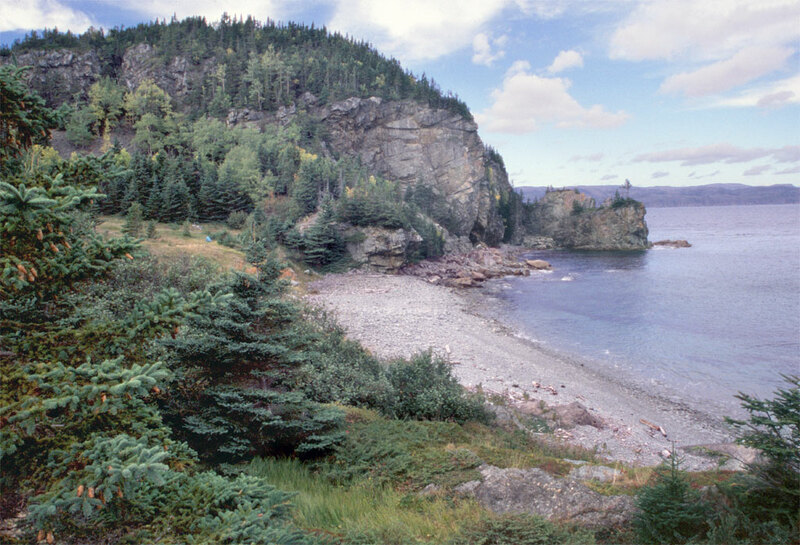 King's Cove Hiking Trail takes you back in history as you walk through the abandoned settlements of King's Cove and Budgell's Cove. 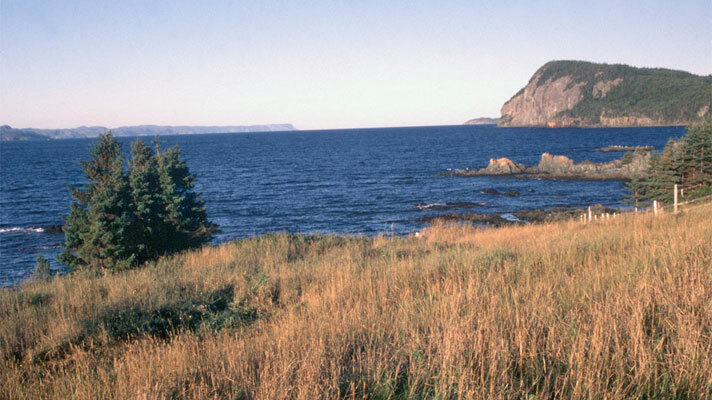 Walk through gardens, picturesque coves and beaches where the first English settlers lived hundreds of years ago. 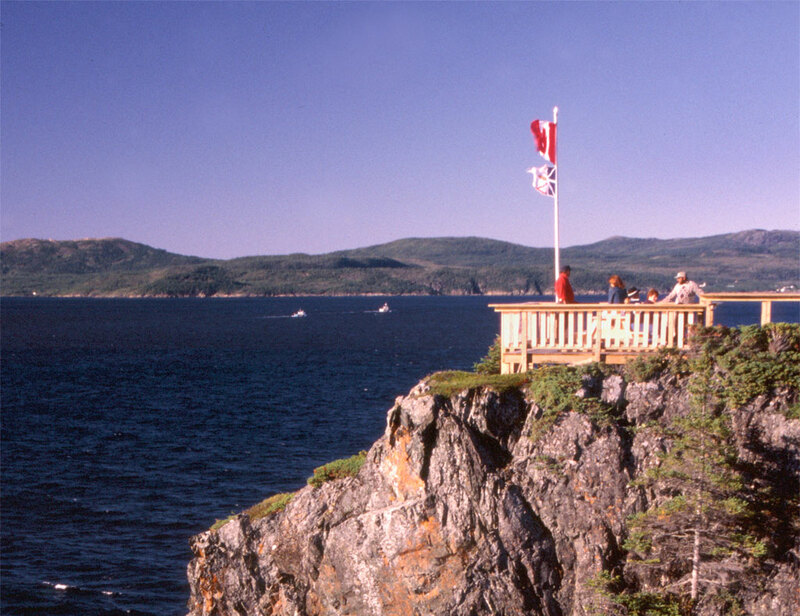 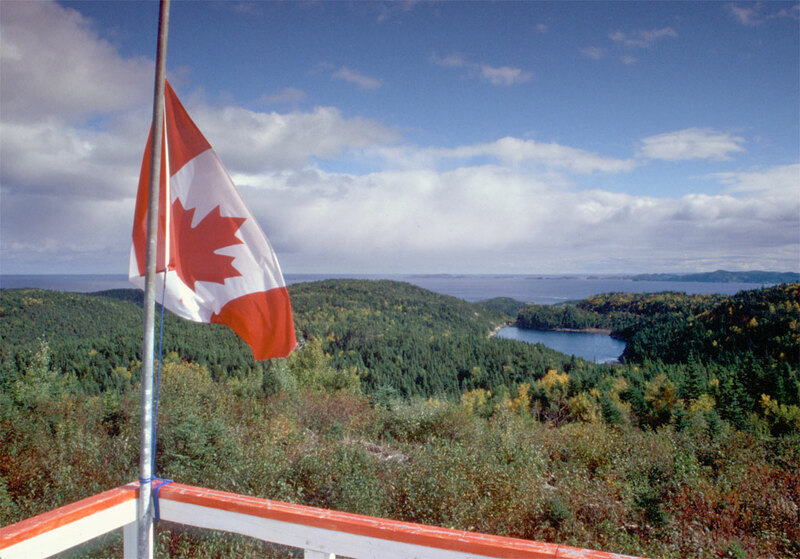 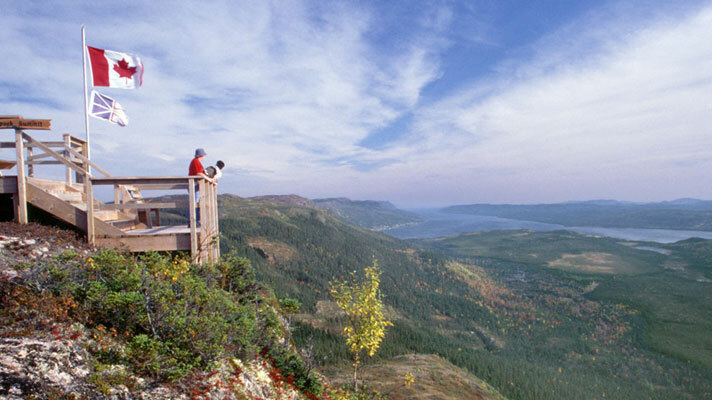 Atop Gull Cliff Lookout, you get a breathtaking view of Green Bay including Hall's Bay, Southern Arm, Three Arms and Southwest Arm. 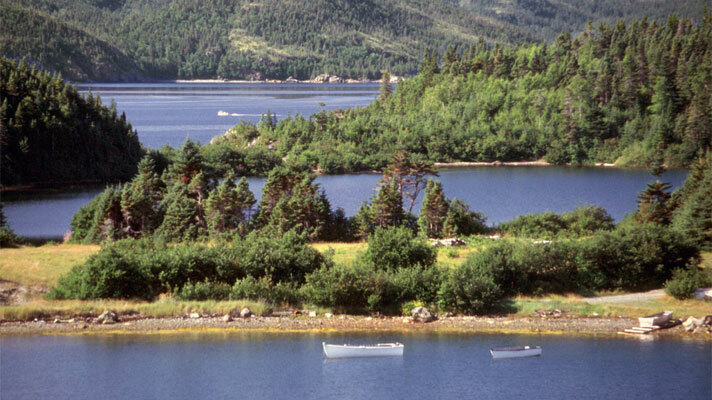 Experience a rare remnant of an old-growth balsam fir forest before arriving at the end to look across Green Bay Island Tickle where you get to see icebergs, seals, whales and seabirds - including eagles and osprey. 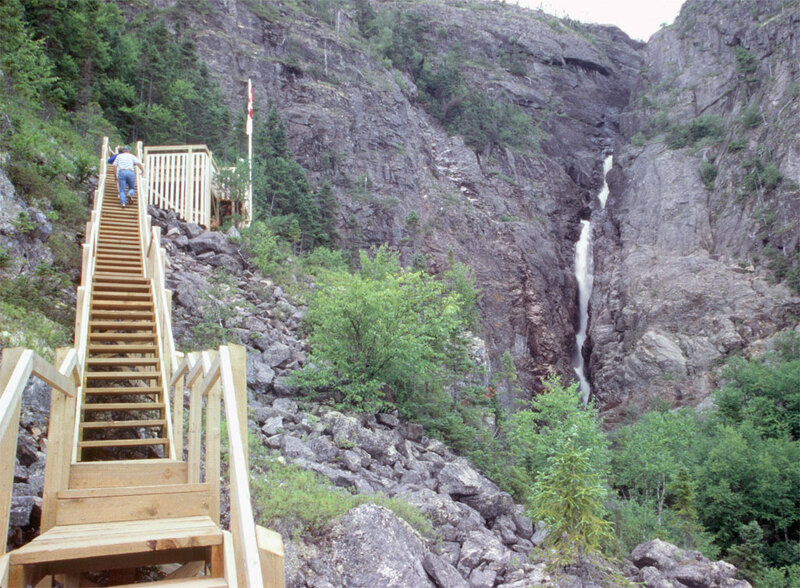 Indian River Falls - is located just 12 km from By The Sea Inn & Café on Routes 390 & 391(before entering the Town of Springdale). 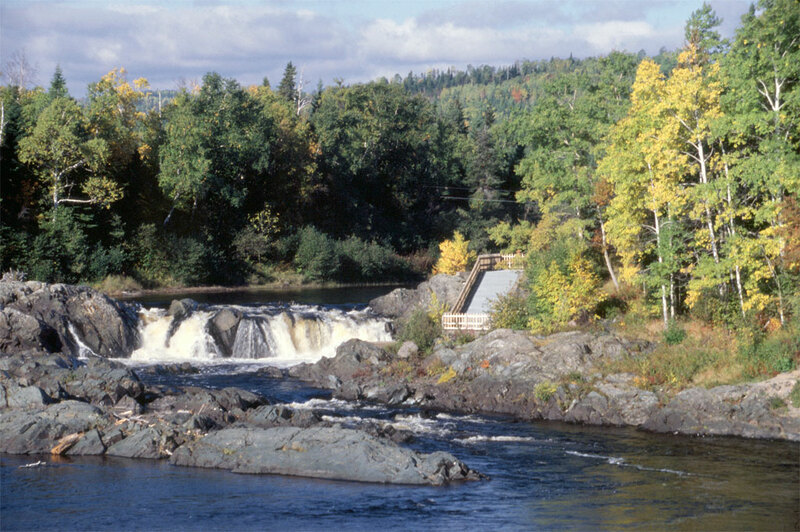 Come visit one of the few places in the province where you can actually see Atlantic salmon jump the falls to continue their trek upstream to spawn. 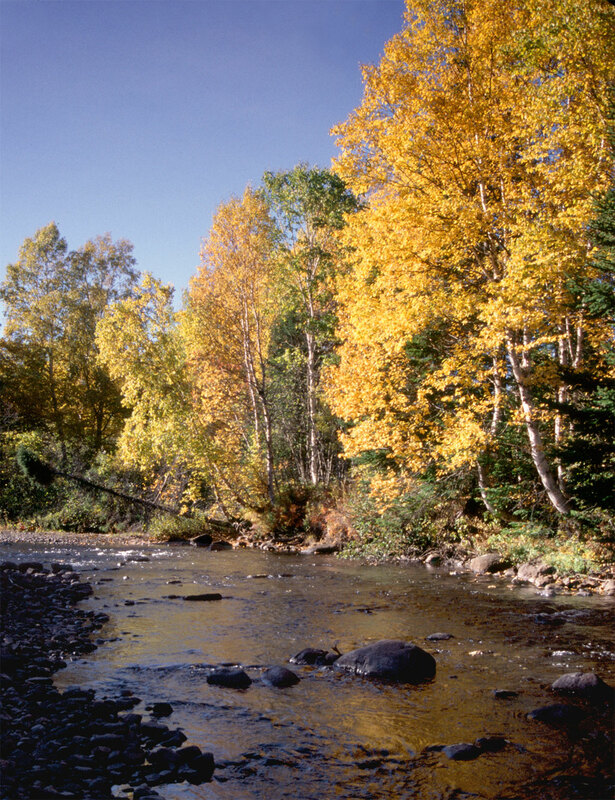 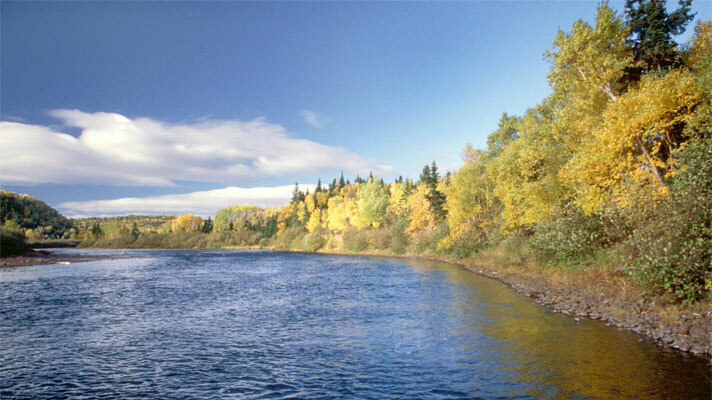 Traditionally, most of the salmon angling and catch in the river has occurred in the section between the mouth of the river and Indian River Falls. 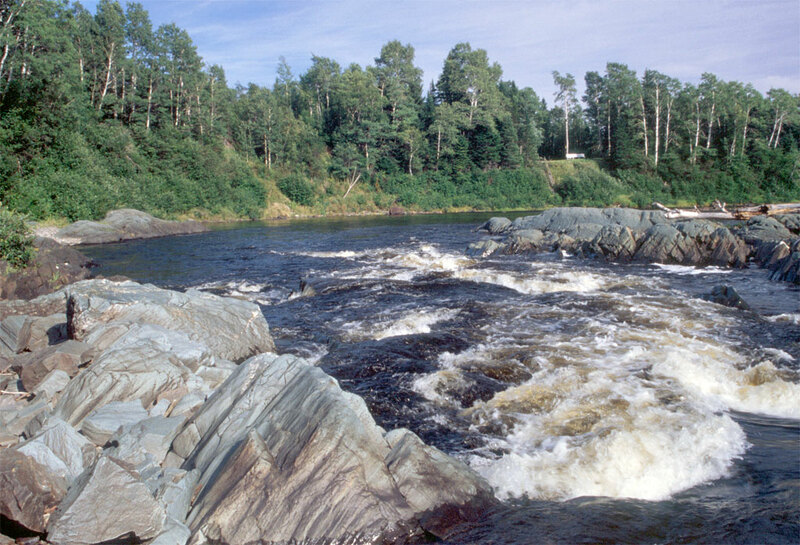 This is because the falls are the main obstacle to salmon migration on the river and returning grilse hold up in the pools below the falls. 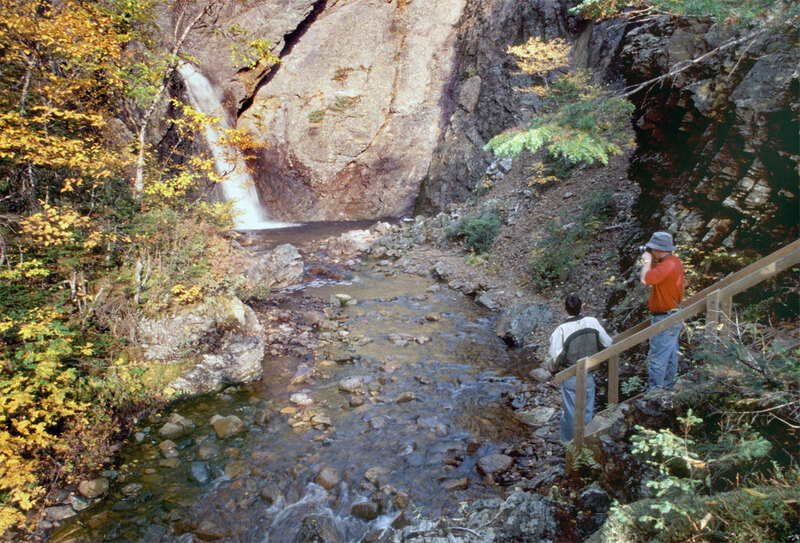 Above Indian River Falls, the river has a continuous flow all the way to Indian Pond. While there are virtually no obstacles along this distance to slow salmon migration, there are scattered deep pools where salmon hold up and where some angling occurs. 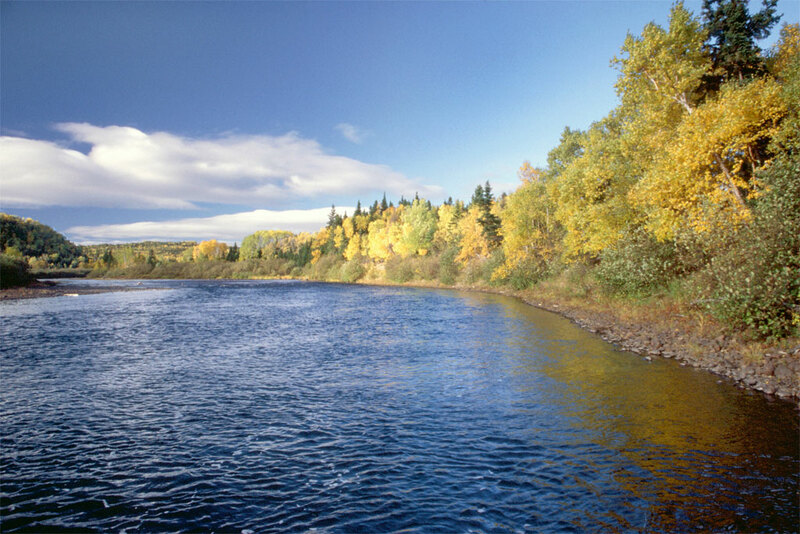 The extent to which the catch on the river historically has been concentrated below Indian River Falls is demonstrated by the fact that the annual count at the fish way at the falls has been assumed to be the spawning escapement on the river. 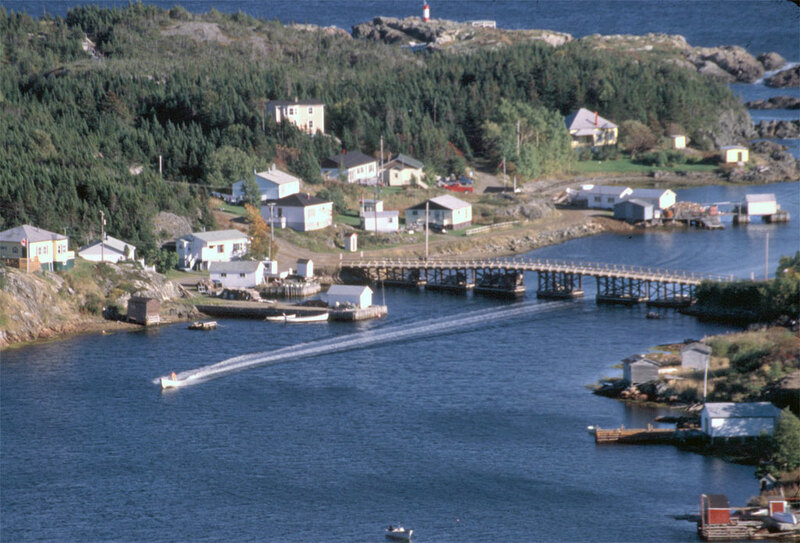 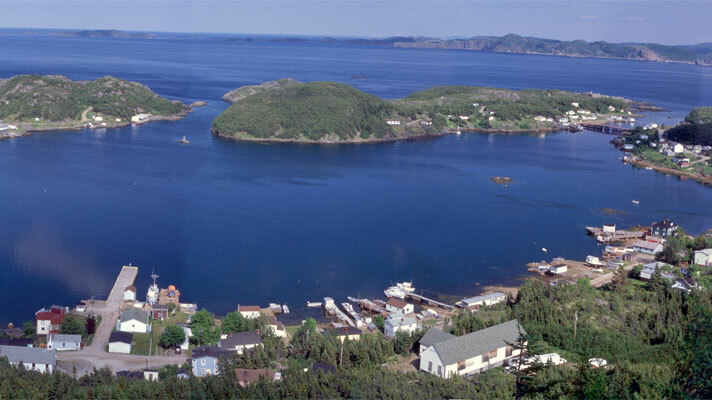 Little Bay Islands - A 45-minute ferry ride from Shoal Arm will take you to the picturesque outport of Little Bay Islands. 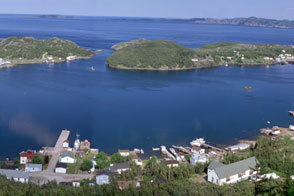 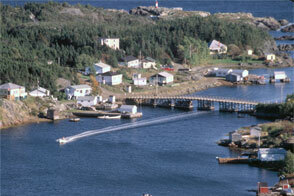 Its sheltered natural harbour attracted the early settlers at the beginning of the 1800's. 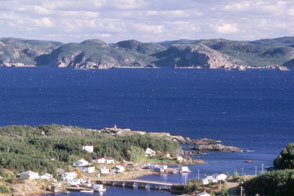 People still come to this island for its scenic beauty! Walk through gardens and coves where the first settlers lived. 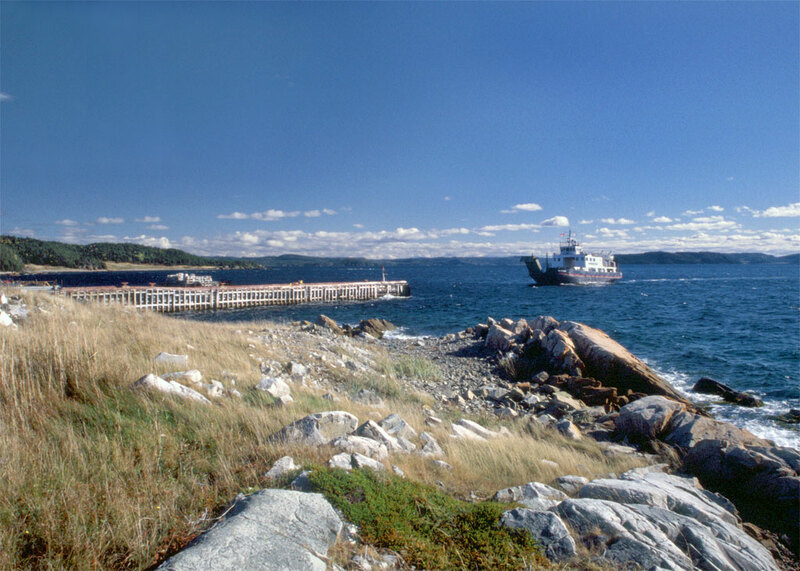 A network of walking trails gives the opportunity to view the historic fishing community and its rugged coastline from various vantage points. 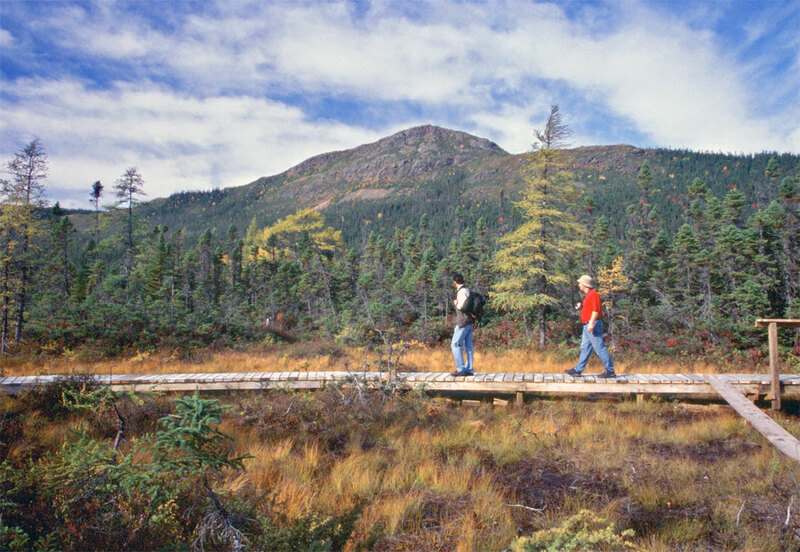 These trails have been developed to meet the needs of all types of outdoor enthusiasts. 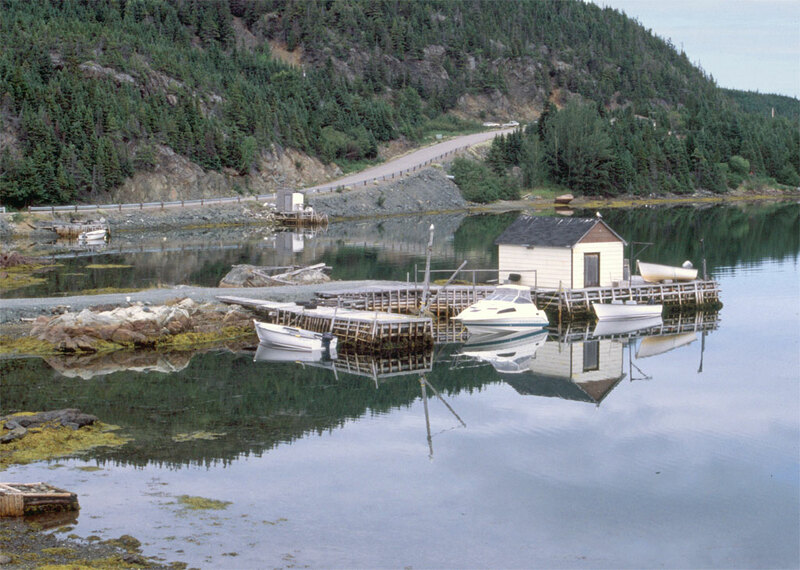 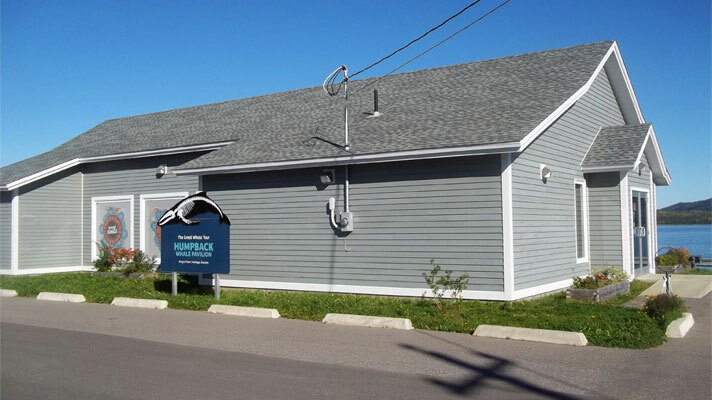 Stroll through this small community of 90 people and learn about the lifestyle of a small isolated Newfoundland fishing outport and strike up a chat with some of the locals along the way! 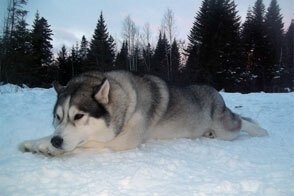 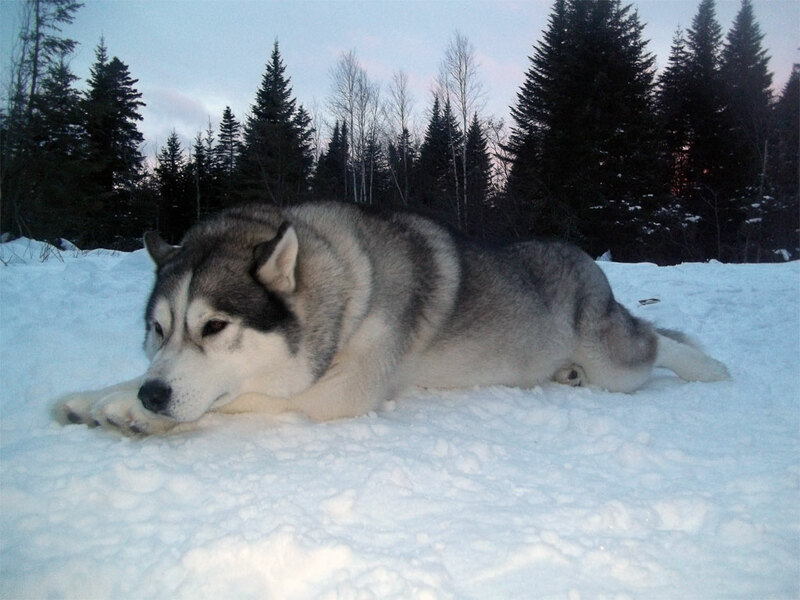 Throughout the years, our people have adapted to the winter environment, and look forward to lots of snow. 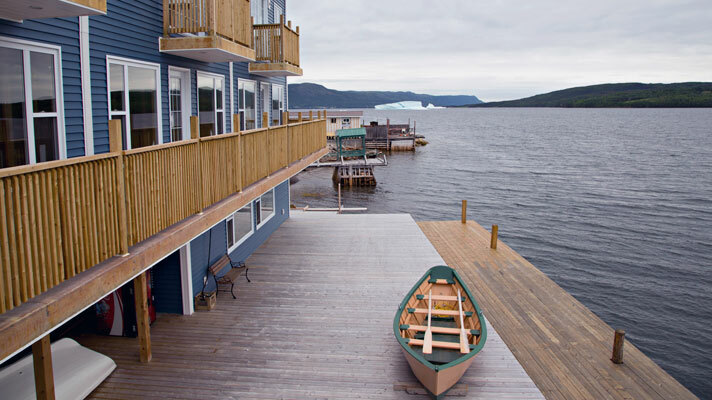 Winter time in Central Newfoundland is a fun time for people of all ages. 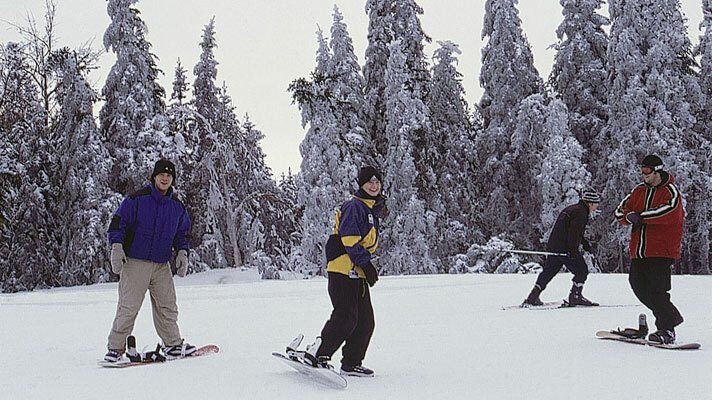 Whether you are snowmobiling, ice fishing, snowshoeing, cross country skiing, or headed into the woods for a "boil-up", you can make the most of winter here in King's Point. 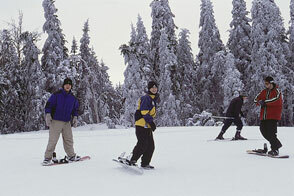 Excellent snowmobiling conditions usually begin in January and last until mid-April. 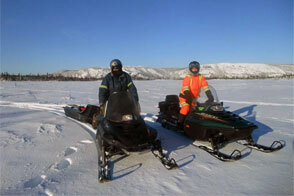 Our local snowmobile association is responsible for grooming approximately 100 km of trails. 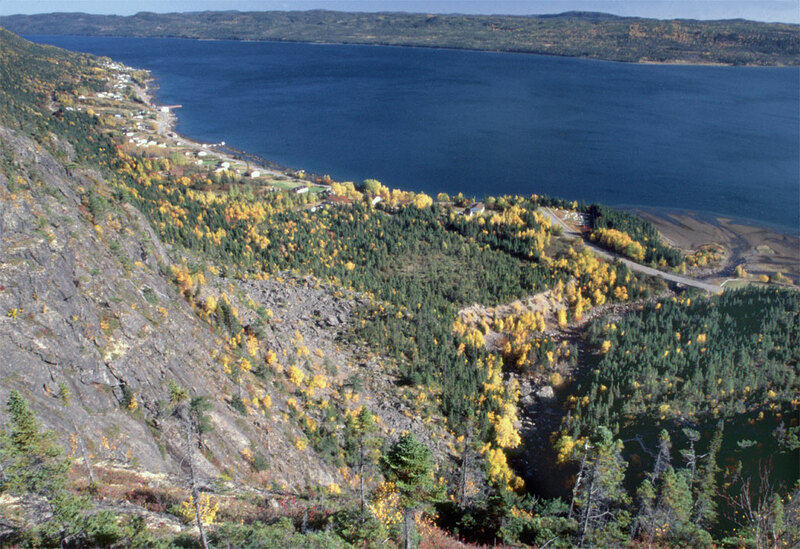 Our groomed, marked snowmobile trails are a great getaway for those that want to see pristine back country and magnificent views. 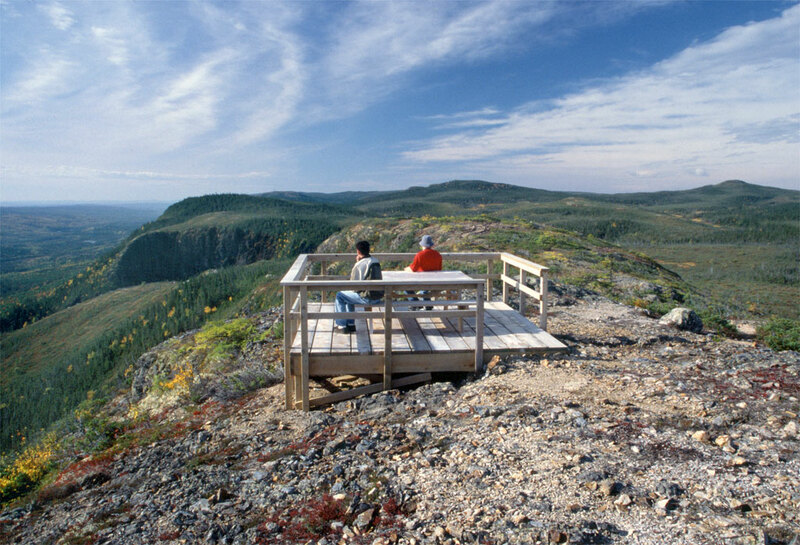 Our network of trails connect King's Point with Springdale, Middle Arm and Baie Verte. 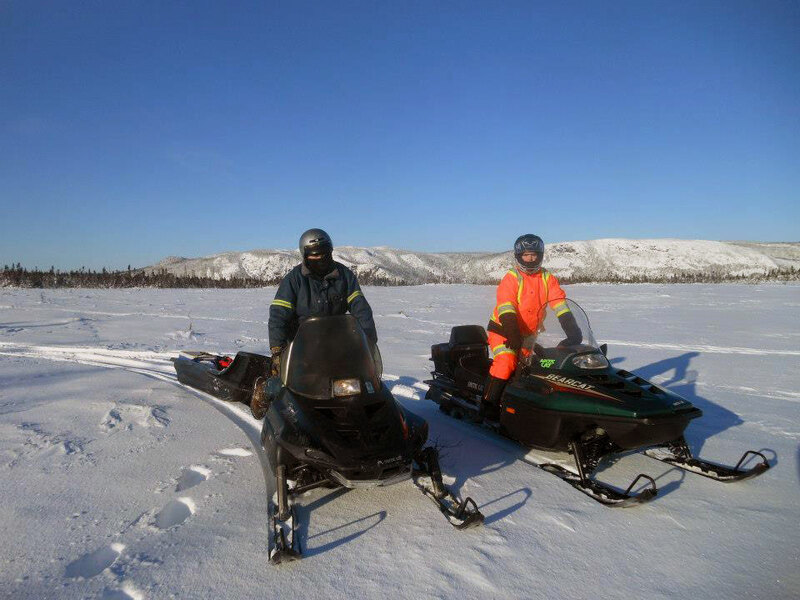 Snowmobilers can link up with the Provincial Trail System and ride to Deer Lake (to the west) and Grand Falls (to the east) on groomed trails or to the Gaff Topsails (in the interior). 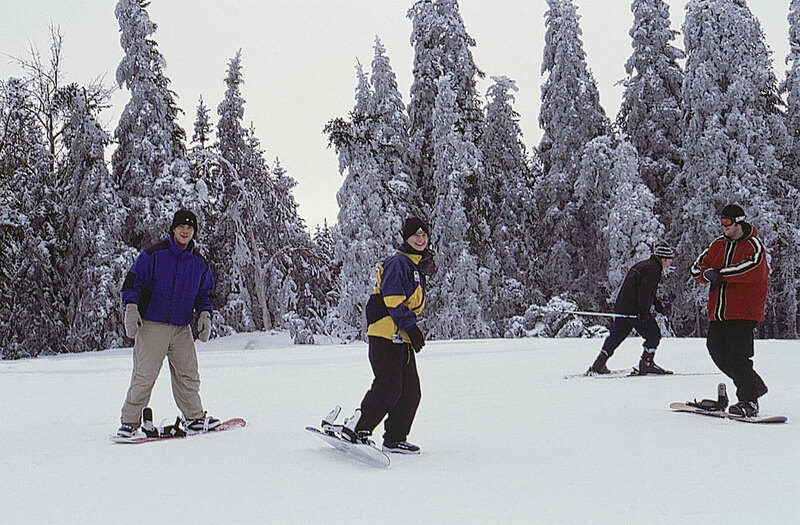 Our guest suites are open year-round to accommodate winter enthusiasts.